The CTEL (California Teachers of English Learners) exam is administered by the state of California. Its purpose is to evaluate the capabilities and knowledge of potential English Second Language teachers to ensure they are adequately prepared to meet their students’ educational needs. The CTEL test is developed in cooperation with numerous educational professionals. Its structure is designed to emulate the curriculum ESL teachers are exposed to throughout their training, as well as the skills they will be expected to display within the classroom environment. What Types of Questions Will Feature on the Exam? The CTEL exam features two different question formats: constructed response and multiple choice. Questions qualifying as constructed response are comparable to essay questions. They are formatted in two “parts”: a piece of information, and a question asking test takers to assess the information given (by evaluating, discussing, transforming, describing, etc.) Answers for these questions should be in long form, much like a typical five-paragraph essay. Multiple choice questions ask test takers a specific question, then display four answer choices marked A, B, C, and D. Only one answer choice displayed underneath the question is considered to be the correct choice. Test takers may also be given additional information alongside the question, typically in the form of graphical data. Test takers may be expected to apply critical thinking to the questions given. What Topics Are Addressed on the Exam? The Language and Language Development subtest features 51 questions (one constructed response, and 50 multiple choice). 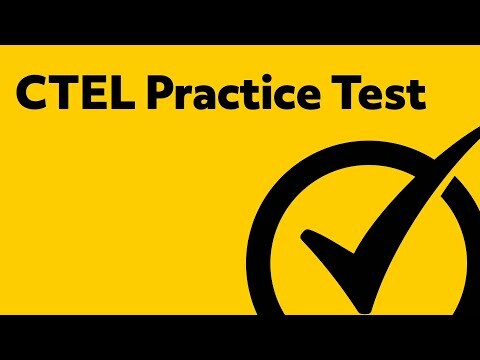 Test takers will receive one hour, 45 minutes to finish this portion of the CTEL exam. Questions featured on the Language and Language Development subtest will center on how English Second Language students develop fluency, as well as the test taker’s own knowledge of the grammar and structure of the English language. The Assessment and Instruction subtest contains 62 questions (two constructed response, and 60 multiple choice). Test takers will be expected to complete this portion of the exam in two hours, 45 minutes. Questions under this subtest will assess the test taker’s knowledge of how to foster development of English language acquisition; rudimentary information regarding how to teach English to ESL learners, how students develop literacy, and how the English language is structured; and how to gauge the progress of one’s students. The Culture and Inclusion subtest features 41 questions (one constructed response, 40 multiple choice). Test takers will be given one hour, 30 minutes to complete this subtest. Questions under this portion of the CTEL exam will center on the importance of and techniques for incorporating students’ cultures into classroom curriculum; and how academic success and culture intertwine. How is the CTEL Scored? Generally, scores on each section of the CTEL will range between 100 and 300 points. In order to pass the exam, test takers must earn a minimum of 220 points on each CTEL subtest. Each of the two types of questions featured on the CTEL exam are scored through different methods. The two varieties of test questions will also count differently toward one’s overall score. Constructed response questions count toward 30 percent of the subtest, while multiple choice questions count toward the remaining 70 percent. In terms of the multiple choice portion of each subtest, test takers will only receive points for each right answer. Zero points are taken away (or awarded) for wrong answers. The multiple choice portion of each subtest is also scored electronically, via a computer programmed to recognize incorrect and correct answer choices. A team of graders is responsible for scoring the constructed response sections of the CTEL, with help from a rubric designed for the exam. The constructed response graders award a score to each answer based on how thoroughly the test taker has explained their answer and displayed their comprehension of the subject, as well as how pertinent the answer is to the question being asked. How Do You Sign Up for the CTEL Exam? Test takers may register for the CTEL exam online, via the test’s official website. As there is only a finite amount of seating available at each testing site, seats for each testing date are typically granted to the first people to sign up. Test takers must give their SSN on the day they sign up, as well as be prepared to pay the testing fee via credit or debit card. Test takers will get two emails after successfully signing up: one containing further directions on how to verify the time and date the test taker will be taking the exam, and one confirming the registration. How Much Does It Cost to Take the CTEL? Taking the full exam will cost a total of $260.00. What Materials Are Needed for the CTEL Exam? The CTEL exam is administered entirely via computer. Test takers are barred from bringing calculators, phones, tablets, or any other similar tools with them on the day of the test. All test takers will need to bring is some form of photo identification, such as a state ID or driver’s license. The identification must be up to date. How Can You Prepare for the CTEL? There are numerous study materials available for reference for those who wish to take the CTEL exam. 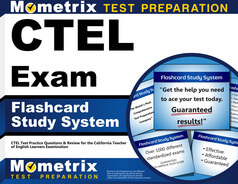 Mometrix Test Preparation offers two individual study tools: a CTEL practice test and a CTEL study guide. 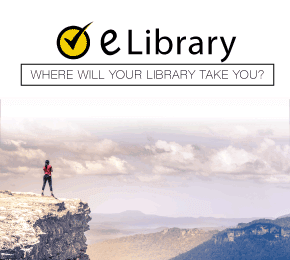 The practice test can be used by those who wish to gauge their current level of ability with the test’s content, while the study guide offers further direction and step-by-step examples for each type of question featured on the exam. Mometrix Academy is a completely free resource provided by Mometrix Test Preparation. 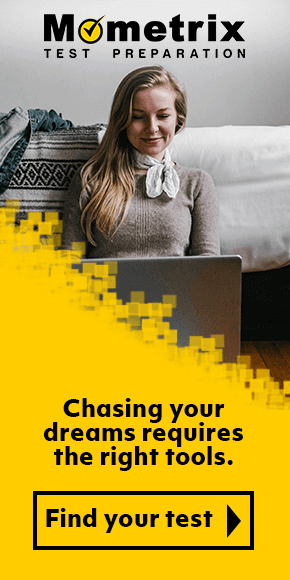 If you find benefit from our efforts here, check out our premium quality CTEL study guide to take your studying to the next level. Just click the CTEL study guide link below. Your purchase also helps us make even more great, free content for test-takers. Our customers love the tutorial videos from Mometrix Academy that we have incorporated into our CTEL test study guide. The CTEL study guide reviews below are examples of customer experiences. The study guide is well-organized, with descriptions of specific topics outlined throughout almost 2/3 of the book. The 3 practice tests, 3 essays and explanations of the answers are really helpful in dissecting strategies and examples, giving a genuine view of how the test will look. There was a hidden treasure on the last page…downloadable versions of the practice test questions and explanations! The downloadable tests were close to the amount of problems that I will face on the test, giving me a realistic run-through of how the actual test will feel! I have not yet taken the test, but I feel more prepared after going through this book. The simplicity of the layout made the content easy to read. The practice questions were also very helpful. I love how each topic is broken down into small sections. It’s not an overwhelming study guide but informative with its content. This book has more than just test prep material it also has a lot of useful suggestions of how the teacher can implement the various learning modules in the classroom with advice on what population of students it will work best with. Good purchase. The book has the key terms and definitions I need for the Exam. They are explained and summarized well. The practice test will help greatly as well, plus the answer key has explanations to justify each correct answer. As I prepare to take the exam in the next few weeks I have been reading the study guide and using the flash cards, I have learned the information and I am very confident and feel that having both products has enhanced my ability to master the information and pass the test. Information is straight to the point and easy to follow. The practice test are relevant to the information that is on the study guides, no surprises!!! Great way to learn the information and pass the exam!!!!! I have found this book an excellent help in preparing for the exam. I am an overseas teacher aiming to get my California teaching credential and am gradually making my way through the credentialing requirements. All other exams have a variety of resources to help your prepare, but Mometrix is the only organization to provide exam prep materials for the CTEL exam. Thank you for helping me to make sense of what will be required on these exams. 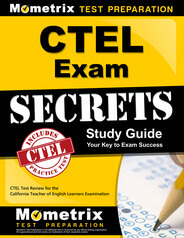 I like the Mometrix Media CTEL Exam Secrets material I ordered. They give me a focus to concentrate on the material that will be covered on the CTEL test. The book and flashcards are similar to the materials used in my prep class, so I know I have more resources to prepare for this test.